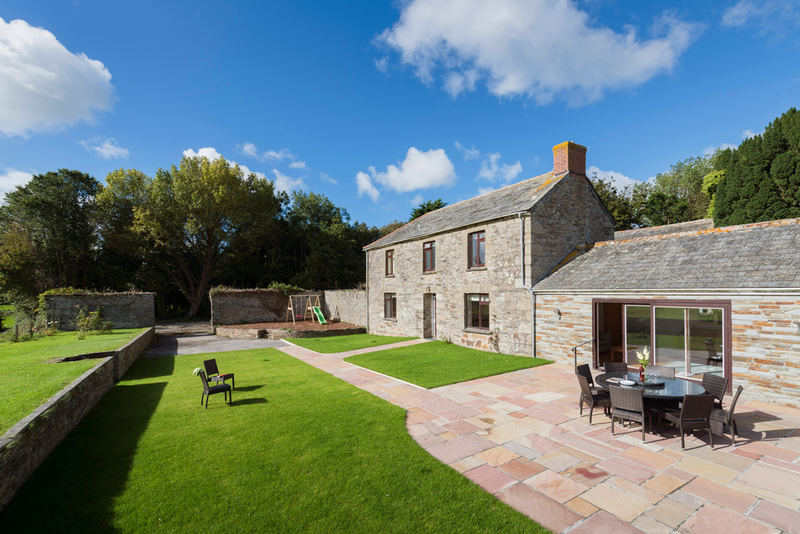 The Olde House, in Chapel Amble, North Cornwall, offers 30 self-catering holiday cottages alongside a range of facilities including an indoor swimming pool and leisure centre, outdoor activities, a pets corner and a farm trail. When we started working with the Hawkey family, owners of The Olde House, back in 2010, the business was still enjoying a high percentage of repeat bookings, but they wanted to set about attracting more new customers. At the time they were doing very little marketing activity; their website was tired, and poor photography didn’t reflect the quality of the cottages and the farm. 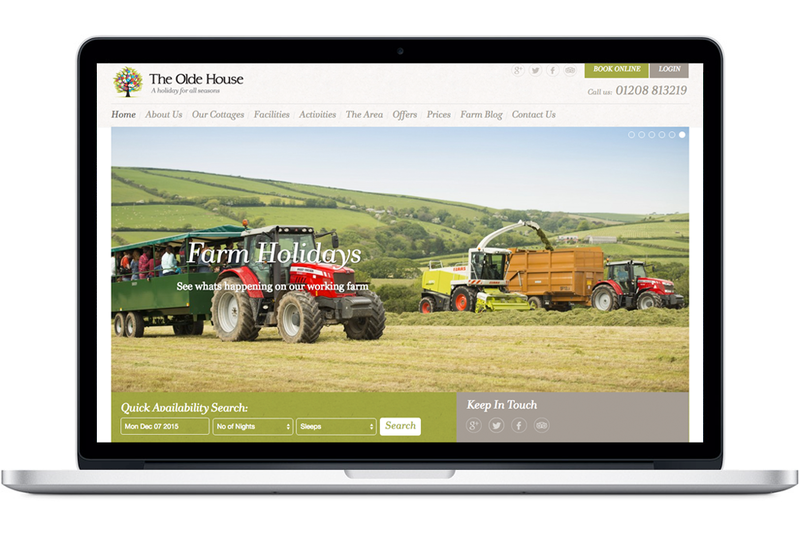 In early 2014 we began working with The Olde House and our partner design agency to create a new responsive website and blog, reflecting the increase in visitors using mobile devices to view and book holidays online. We recommended an SEO consultant who was brought in to advise on optimising the website structure for organic search traffic, and to manage Google Adwords pay per click advertising campaigns. The new site looks great and is easy to use. Most importantly traffic has increased by 26%, and pageviews by 50%. 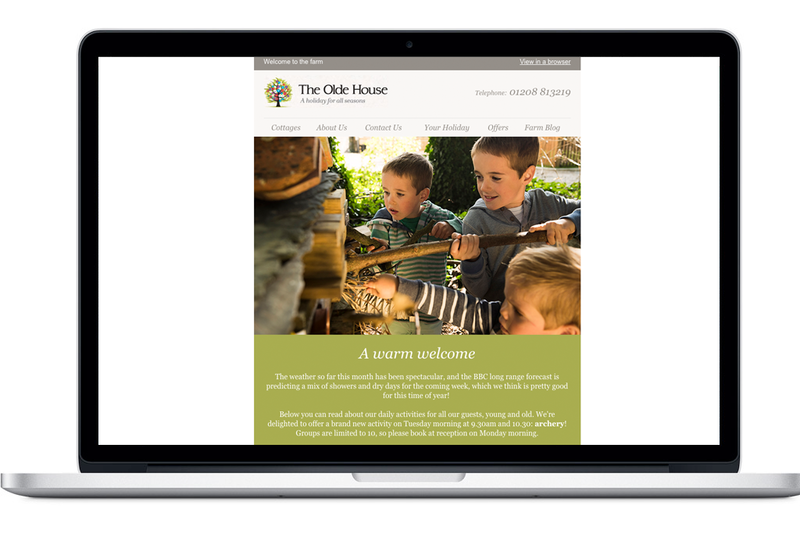 At the same time as the website, we developed a new email marketing service for The Olde House. 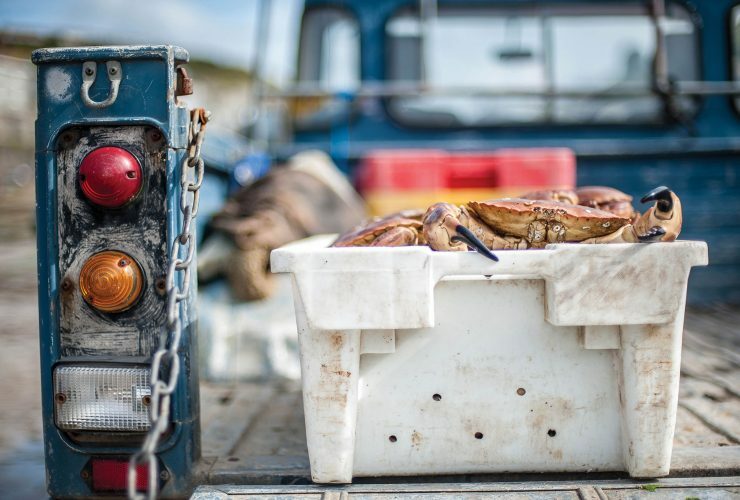 An email template was created, based on the new website design, and regular email campaigns are sent to keep guests up to date with offers, news, and developments on the farm. Open rates and click-through rates are consistently above the industry average. We continue to work with the The Olde House to develop and refine their strategy for social media, including helping them to create content and develop best practice. Their improved presence on Facebook and Twitter has steadily increased their online following and most importantly has attracted new customers. 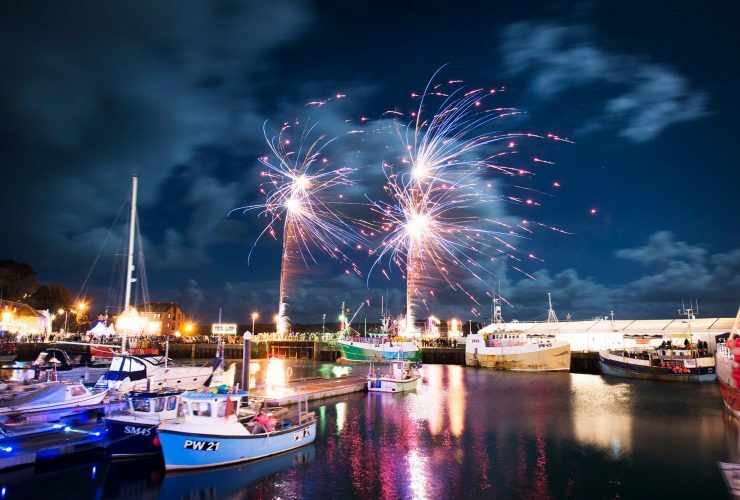 Since 2010 we’ve secured regular coverage in some amazing places including The Guardian, Metro, The Sunday Times, The Telegraph, BBC Spotlight and ITV Westcountry News. In 2012, The Olde House wanted to boost their occupancy levels in the winter and spring seasons, a traditionally quiet time of year. 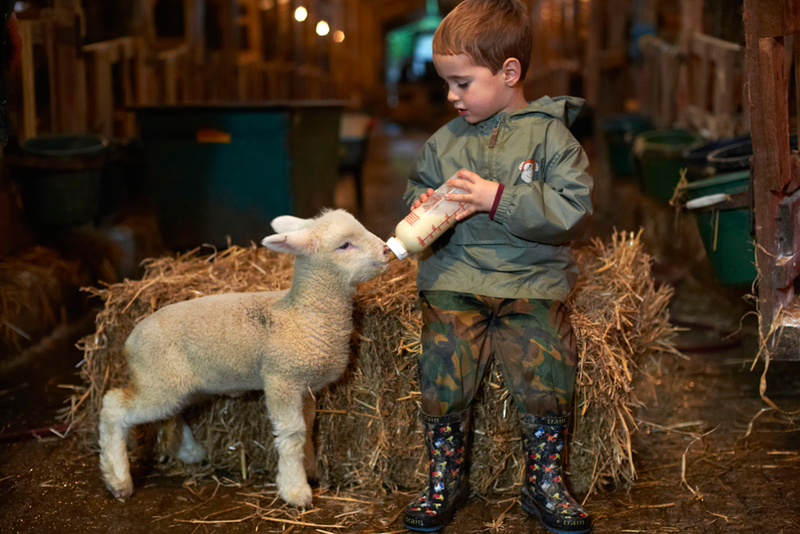 Over 1,000 lambs are born at The Olde House every year across two lambing seasons. Guests at the farm can experience lambing first hand, so we tied in the two seasons with late deals available and pitched to journalists in the family holiday market. We arranged press trips with journalists from national newspapers and magazines as well as features in the local media. We also carried out a reactive PR campaign after a set of quadruplet lambs were born, resulting in a photo-led story across national and local media titles. The quadruplet lambs were featured on ITV Westcountry and BBC Spotlight. Images of the lambs were featured in the Mail Online and the London Metro, while press trips secured features in BBC Countryfile Magazine and Sunday Express. Bookings increased by over 50% compared with the same period in the previous year, with more families booking their holidays earlier, and the campaign earned Silver at the 2012 CIPR Pride Awards. In 2015 The Olde House celebrated their 100th year at Penpont Farm by offering guests the chance to book a cottage for a week for £100. We worked with The Olde House to promote the offer in the weeks before it went on sale, including The Mail on Sunday the day before the offer went live. We created specific content for the website, including editing archive and drone film footage into two short videos. When the £100 cottages went on sale they sold out within 10 minutes, with almost 800 people on the website trying to secure one of the 30 cottages. The Hawkey family has done a huge amount on their part to help. In the past two years, they have made many improvements to their business, with a rolling programme to upgrade older cottages, and renovating two old barns into larger properties to meet the demand for extended family holidays. They have also invested in renewable energy, including a biomass boiler, electric car charging points and a solar array which meets the energy needs for the entire business. The Olde House has really seen the impact of the business improvements and marketing activity. Occupancy has grown by over 40% in two years. In 2014 turnover increased by 5% on the previous year, and by a further 19% in 2015. At the same time the average length of stay has increased from 5.2 nights to 7.1 nights, with 55% of 2015 bookings from returning customers. 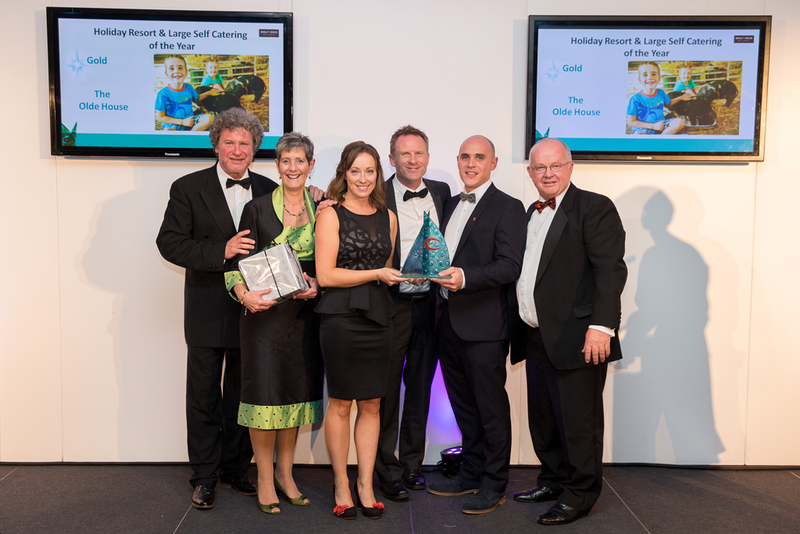 To cap a brilliant 2015 for the Hawkeys, the family won a Gold award at the 2015/16 Cornwall Tourism Awards, and a second Gold award at the South West Tourism Awards in February 2016. In December 2015 they were featured on BBC Countryfile’s Christmas special. Jaime Hawkey, The Olde House. "2015 has been a brilliant year for The Olde House, with record turnover and winning Gold at the Cornwall Tourism Awards."